January 23rd to 25th 2019 Madrid, Spain. January 25th to 29th 2019 Louisville, Kentucky, USA. January 28th to 31st 2019 Montgomery, Alabama, USA. March 04th 2019 Milan, Italy. March 06th to 08th 2019 Berlin, Germany. May 05th to 08th 2019 Buenos Aires, Argentina. May 09th to 10th 2019 Heredia, Costa Rica. june 10th to 12th 2019 London, England. Costa Rica is an extraordinary country that lies majestically between the Pacific Ocean and the Caribbean Sea; a paradise that shelters 4% of the world’s biodiversity, and a unique place where varied ecosystems live together to create impressive landscapes and amazing scenic points. Its location is definitely strategic: right in the heart of the occidental hemisphere… making it the perfect place to enjoy exceptional moments. Today, Costa Rica remains as the safest country in Central America and combines all the necessary ingredients to satisfy the expectations and desires of thousands of travelers that every year visit this country, looking forward to have the perfect holidays. Reasons? Its few travel requirements to enter the country, its friendly weather, and hundreds of activities available for you to have lots of fun. But beyond that, the main reason is the characteristic “ticos” big heart. Costa Ricans are well-known to be hardworking, humble, and welcoming people and when you visit this incredible country, they -for sure- will make you feel like home! 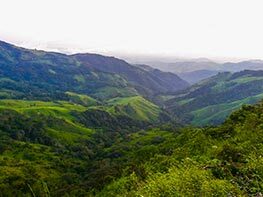 The country is the birthplace of ecotourism; therefore, many of the Costa Rica tours can be enjoyed within its rainforests, volcanoes, rivers and waterfalls. The sightseeing in this little piece of paradise is just breathtaking! You can observe abundance of natural resources, which are all protected by a consolidated National System of Protected Areas. This represents 25% of the national territory and includes biological reserves, national parks, forest reserves, and wildlife refuges… an example of environmental awareness. Definitely, the best reason for planning your Costa Rica holidays is that it is perfect for everyone. 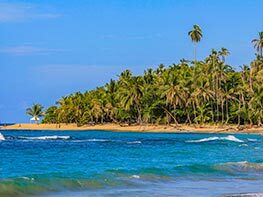 Costa Rica offers all kind of vacation packages including volunteer programs, adventure and nature tours, the most romantic wedding venues for saying “I do”, the coziest boutique hotels, relaxing spas and wellness experiences and the best all-inclusive resorts for travelers to enjoy with their families. And it is all in the same place! 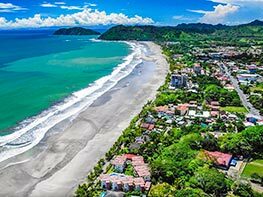 Visit our Costa Rica Travel Vacations Blog for tips. More than twenty years offering quality and excellence in the Costa Rican tourism market have positioned Travel Excellence as a reliable and specialized company, not only creating Costa Rica vacation packages, but also ensuring unforgettable Costa Rica travel experiences. With the vast experience of our personnel in the sector, the close commercial relationships with our suppliers and a constant work in innovation and development of differentiated product, we are able to offer exclusive and competitive proposals and a quality service that meets the highest demands of national and international standards. 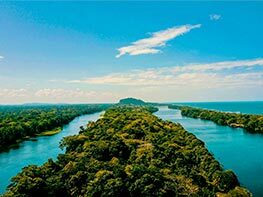 Our team of specialists is ready to become your best ally in creating unique vacations in Costa Rica. Despite being a small country, Costa Rica hides a huge variety of incredible destinations – perfect for everyone! 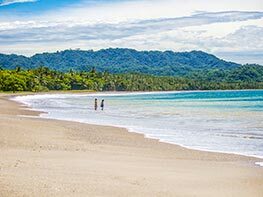 The ideal combination of a vast biodiversity, a rich culture, a variety of microclimates and the most magnificent landscapes ranging from active volcanoes to stunning beaches of crystal-clear waters, is the secret to have the best Costa Rica vacations. Very close to the capital, this is the most popular spot in the Central Pacific for surfing vacations and a paradise for fishing and golf enthusiasts. Discover these amazing and off the beaten track destinations, that beyond being the best surfing beaches, are also a perfect place to relax and discover wildlife. One of the most popular Costa Rica destinations - the cradle of turtle nesting - a place that combines a real contact with nature with the magic of the Caribbean culture. 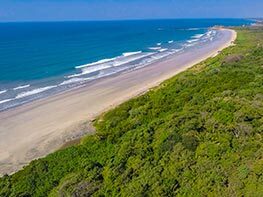 Explore one of the seven world's blue zones - the Nicoya Peninsula, a real paradise for family surf vacations. Unspoiled beaches adorned with the colorful Afro-Caribbean vibes gastronomy, culture and exuberant nature hidden within its National Parks and Wildlife Refuges. 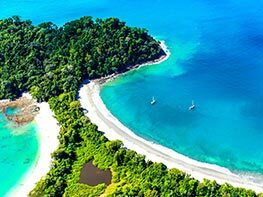 Combining a white sand beach with a lush forest, Manuel Antonio National Park is the perfect place to discover wildlife while enjoying the sun. 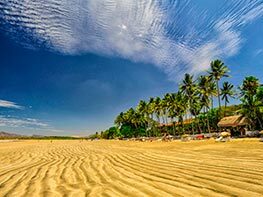 Besides having the most popular beach in the Pacific West Coast for surfing, Tamarindo Town and surroundings are filled with nightlife, adventure and nature wonders. Seeking the resplendent Quetzal, immersed in the Monteverde Cloudforest Reserve, seems like the perfect plan to enjoy up in these mountains. Every year, our knowledgeable team assists clients of more than 400 International Tour Operators from over 50 countries around the world.